It just isn’t autumn in South Carolina without the sweet, savory aroma of fresh apple pies. It’s no surprise, really: The Palmetto State is home to several apple orchards that grow dozens of varieties of apples fit for a pie, and plenty of pie shops and bakeries that know how to make ‘em right. 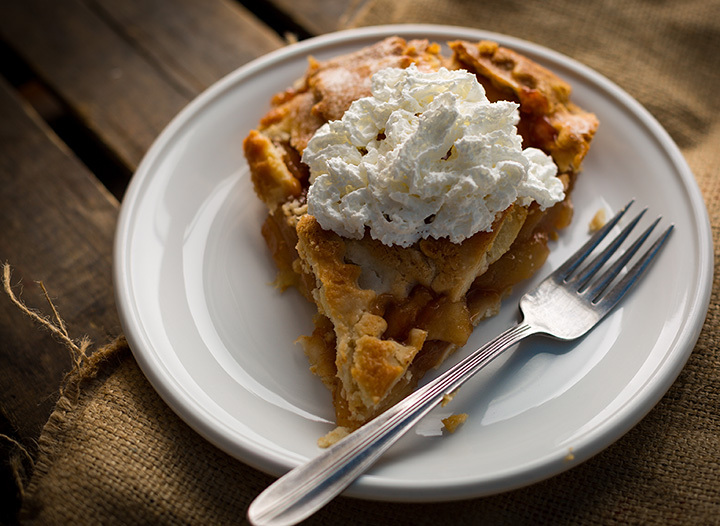 Indulge your senses at one of these four sweet apple pie shops in South Carolina and enjoy the season the right way. The best apple pies come straight from the orchard, and it’s not hard to see why. Along with U-pick apples and fresh-pressed apple cider, they’re well known for their scrumptious fried apple pies that are every bit as good as Grandma used to make. Every trip is filled with gorgeous mountain scenery, so plan to spend some time enjoying views along with your snack. Serving up the best desserts in Greenville since 1947, you can expect the same tried and true family recipes that have made them an iconic sweet shop in the Upstate. Their picture-perfect apple pie has always been a customer favorite, and it tastes just as great as it looks. While you’re there, you can also grab a quick hot lunch or stock up on other favorite bakery items, like cakes, tarts, cookies, or chocolates. Don’t judge a book by its cover! Inside this small, modest country store you’ll find some of the best fried apple pies you’ve ever tasted. They’re well known for putting on the best breakfast and lunch in the area, but you’ll want to save plenty of room for dessert—or just start with the sweets and order your meal last! It’s quite a bit off the beaten path, but their customers have been known to drive an hour or more for a meal, so you know it’s worth the hunt. There’s no better combination than delicious homemade cider and a hearty slice of apple pie, and here you can find plenty of both. What started as a small roadside cider stand has blossomed into a three-store business that offers hot boiled peanuts, handmade soaps, jams and jellies, sauces, and of course, their impeccable homemade ciders and pies. They’ve stayed true to their southern roots, so you can expect nothing but the best flavors of SC.